Now, while I agree that a night out with any of these people would be fascinating, I am surprised that only 1 of the 5 people in this lineup is a woman. Once again, we have to ask the question, ‘Where are the women in ELT?‘ Why don’t they come to our minds when we are asked questions like these? We can — and we must — do better than this at keeping women’s profiles as visible as the men’s. I’ve been able to come up with my own top 5 list of recent initiatives which celebrate and support women in ELT! The Fair List began in 2012. Since then, they have been celebrating the achievement of gender balance in plenary speakers, presenters or speaker panels at ELT events in the UK. The website also offers a range of resources for women, such as mentoring, videos and tips for women wanting to become speakers. In 2015, English Australia started an initiative called ‘The Women in Leadership’, as a way to encourage discussion about women who work in leadership roles in the ELICOS (Australia’s English Language Intensive Courses for Overseas Students) sector. The program has continued to grow and this year they are offering another round of webinars with influential female leaders from the area. On their website, you’ll find slides, recordings and interviews from previous events, on topics like personal branding, work-life balance, and assertive communication. There is also an opportunity to become a speaker at one of their events, so what are you waiting for? The Women in ELT facebook group was started in December of 2016. In just a few months this closed women’s group has gained over 800 members. It was started with the objective of offering a space where women can feel comfortable to share, support and exchange ideas and opinions with each other. If this sounds like a group that you’d like to participate in, you can find them here. Voices SIG, which is part of Brazil’s English teachers’ association BRAZ-TESOL, was launched on April 1st of this year. It’s the first Special Interest Group promoting gender equality in ELT and, in a country where violence and discrimination against women is so high, this is a big step in the right direction. The group works to provide opportunities, training and networking to help women develop their careers in any direction they choose. If you would like to join them or even start your own local SIG, you can contact them via their facebook page. Coming up in May this year, there will be a mini-conference where Nicola Prentis will give a talk which looks like a first in ELT. It maps the history of the industry from the point of view of the women who shaped it. The event is called ‘Celebrating Women in ELT: Reflect, empower, act’ and is on May 5th, the day before Innovate ELT in Barcelona. Places are limited, tickets cost 60€ and include a discount on the main conference entry. Follow the links for more information and how to buy. The contribution that women have made, and continue to make, to ELT is something we can all celebrate. I hope more initiatives like these ones appear and inspire the next wave of women in ELT to take that jump and change their own futures and the future of our industry. What a wonderful topic. Unfortunately all I can think of is how Adult ESL (in Canada) has traditionally been “women’s work” and so low salaries, no benefits, precarity, lack of recognition for the difference ESL teachers (women and men!) make in learners’ lives prevail. ESL started as volunteers and service organizations set up classes (often in church basements or schools) to teach ESL to new immigrants. In the early days these volunteers were mainly women who did not “work” outside the home! So (I guess) the impression was that they did not need to be paid as they had husbands to support them. Somehow this “myth” has persisted. 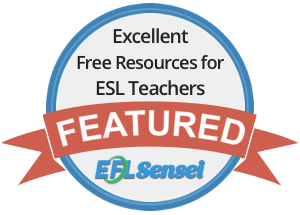 As ESL/EFL/SLA theories and resources became available in the 70s, teachers came together to share PD and the professional organizations like TESLOntario were born. But they were not “unions” and although there probably was a lot of behind the scenes advocacy for stable employment and fair payment the associations are still reluctant to “advocate” on behalf of teachers’ terms of employment as they claim this is between the employer and the employees. (Sounds like the IATEFL/TAWSIG issue, no?) The development of government funded programmes – LINC and ESL/ELT/EAP etc means that basic wage structures became more institutionalised – but the key word is basic. There are very few positions available that allow for a teacher to support their family. The changing demographics of learners means that most ESL teachers work truncated hours, often in more than one location during the day/week, with no benefits ( health, sick days, retirement, paid statutory holidays). Some services/locations are unionised – which has its positives – and its negatives. Some school board unions have negotiated fairly decent collective agreements – but seniority means that unless one has high seniority “bumping” is a fact of life and makes for stressful, precarious employment. Cutbacks threaten all programs as do changing government policies. Classes can be closed at any time. It is difficult to make plans for the future. Some change is inevitable in any profession but I need to say that although teaching ESL has been the greatest privilege of my life I am not surprised when younger colleagues tell me they have decided to go into the regular teaching sector. One of the problems is that we do not see the direct effects our teaching has on learners’s lives – and more research and promotion (learners’ stories) needs to be done so that the value of our work can be appreciated by all. I’ll be following tweets! I am fascinated with the education system in Canada! I’m disappointed to hear that ESL teachers are still under appreciated/paid there but I wonder if that will change with the recent increase of new Canadians from non-English speaking countries. Has the government got programmes in place in preparation for this? Provincially and Locally funded) for years. Logistics for planning classes are difficult as demographics change. I don’t think remunerstion and terms of employment will change with recent increase of newcomers (Canada has encouraged immigrstion for years).To be fair minumun fee structures were put in place to pay instructors reasonable hourly rates in LINC. But many classes are part time or contract work. Some Boards of Education are unionised and instructors with seniority have pretty decent hours and benefits. But not everyone. .Last year’s project to receive Syrian refugees has resulted in higher demand for language instruction – as far as I know some classes were added but more were needed. In terms of appreciation of what ESL instructiors do – I think the service is appreciated by the public (and the learners). There are also English “visa” schools teaching English to students from other countries – these teachers are usually less well paid than those working in government funded classes. I think that’s a great idea. It’s true ELT tends to be male dominated, but I would say the majority of teachers are female. Do you think students prefer male or female teachers? Yeah I had never really considered it before, but I guess it doesn’t really matter. Each teacher has their pet favourites and each group of students has their favourite teacher, and you can never please everyone!